Time magazine is about to have new owners -- including the billionaire Koch brothers. 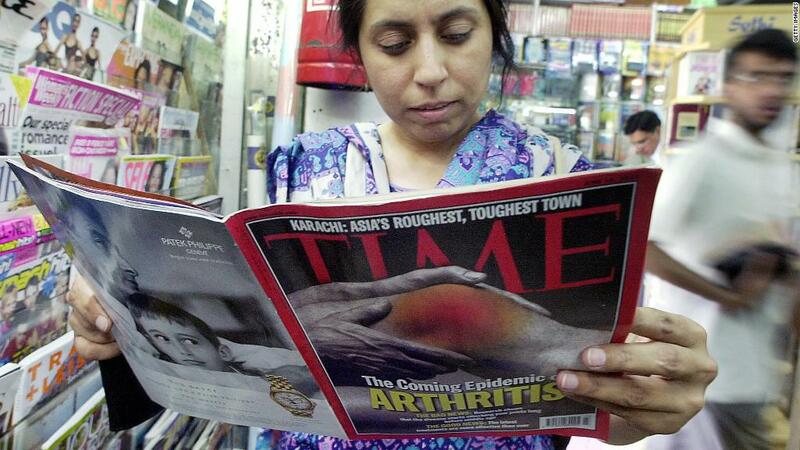 Media company Meredith (MDP) announced Sunday that it has agreed to buy the 95-year-old magazine's publisher, Time Inc., for $2.8 billion. The two media companies are worth roughly the same on the stock market. To finance the deal, Iowa-based Meredith is taking on some serious debt, borrowing about $3.6 billion from an assortment of lenders. It also plans to sell a sizable chunk of the combined business -- $650 million worth -- to a company owned by Charles and David Koch. The Koch brothers are mega-donors to the Republican party and conservative causes. Meredith said in a statement that the Koch brothers will not have seats on the board "and will have no influence on Meredith's editorial or managerial operations." The company said the Koch brothers' investment underscores the significant "unlocked value" from the merger. In its heyday, Time Inc. (TIME) was a publishing colossus, delivering weekly magazines to millions of people around the world. Its titles deeply influenced the way people digested news, sports, leisure and entertainment. The publisher gained even more influence in 1989 when it merged with Warner Communications to form Time Warner (TWX), CNN's parent company. At the time, it was the nation's largest media company. In a prepared statement, Meredith President Tom Harty called the deal "transformative." "When you combine our strong local television business ... with the trusted, premium multiplatform content creation of Meredith and Time Inc., it creates a powerful media company serving consumers and advertisers alike," Harty said. Time Inc. continues to enter the national conversation when it publishes its influential Time Person of the Year, Fortune 500 list, Sports Illustrated swimsuit issue and People's sexiest man alive. For example, President Trump recently tweeted that he rejected Time's person of the year award because of the magazine's process for picking a winner -- a statement that Time fiercely disputed. People's pick of Blake Shelton for 2017's sexiest man alive set off something of a social media firestorm. It was rumored to be interested in buying some of company's magazines, including People, just before Time Warner spun off the company in 2014. This time around, Meredith seems likely to get what it wants: Time Inc.'s board unanimously agreed to the purchase.